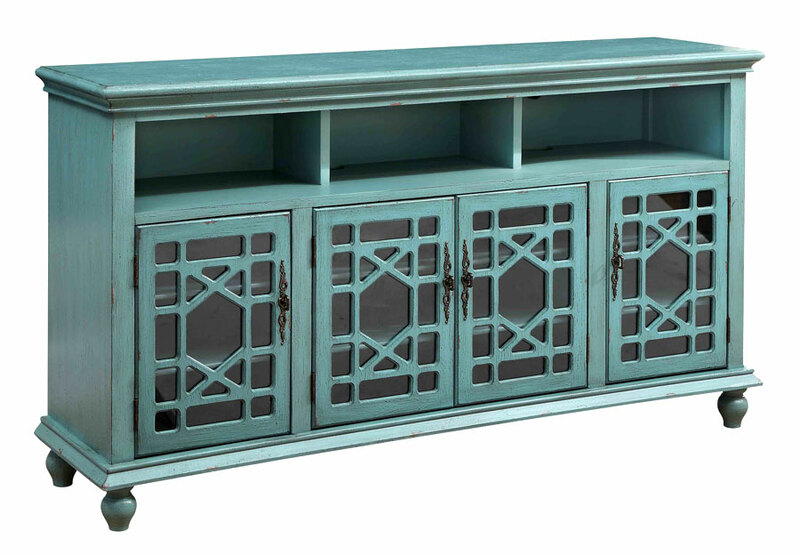 Brighten things up with this Teal media credenza. This four-door media case features a gesso textured finish and Chinese Chippendale fretwork over glass panel doors. Above the doors is an open sound bar area for electronic components. Behind the Chinese Chippendale fretwork glass doors are six shelves.